Obsessive journal entries, clinical reports, varied sources of music, and a series of watercolors depicting a pierced and bleeding brain are among the many elements that make up a narrative around the occasion of mental breakdown. Instruments of electrical transmission are metaphors for the diseased brain, as reconstructed by a woman who has lost her reason, her body, and her foothold in personal identity. The unseen protagonist at first attributes her illness to repeated hearings of a Chopin mazurka on the radio. Radio static, a telephone switchboard gone awry, a woman imagistically redoubled playing the accordion become points of departure for a rant situated in the remembrance of a mental state so extreme as to make impossible any attempt at representation. Like an overwound mechanism, her account is eclipsed by images and sound that derail the story's trajectory. The reports of a series of practitioners on the patient's symptoms and "progress" reveal the ineffectuality of conventional mental health treatment while the patient offers hyperbolic excesses in describing her experience. On the road to recovery, she searches for possible causes for the lapse of sanity. 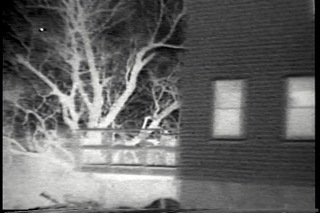 Her provisional understanding makes reference to a 1963 home movie of her family dancing on the lawn of their house: "It is not for me to ransack scenes of the past for clues or explanations ... so, let these people dance in place ... they have done nothing wrong ... there is no culpability to be found among these shadows." Read Chicago Reader review (pdf). The film concerns the death of my father and the ways in which I was partially able to come to terms with his loss. It is largely about my effort to construct, through memory, an impression of how his life influenced mine and the lives of other people. There is footage of my father taken over the years, images of his handwriting in the form of his journals and letters I'd received from him, scenes of myself reading from his journals and footage shot from television. The soundtrack consists of diverse material: audiotapes that were recorded in my family when I was growing up, testimonials of people who had grown close to him in the last years of his life, Yiddish folk songs. I was obliged to search for and select traces of my father's life from fragmentary evidence, never able to assemble a complete "portrait." In making the film I was dealing with the grieving process by experiencing the effect of looking at images of a person who is dead. The theme of a Jewish tradition is also central to the film, as conveyed through music and storytelling, and the idea that knowledge of a cultural tradition can be passed on from one generation to the next, but must necessarily be transformed. "Her searching attitude suggests that with the loss of her father came a questioning of the role, not of a particular father, but the father figure - a refusal of authority, and an appreciation of her father's cycles of learning, teaching, learning. 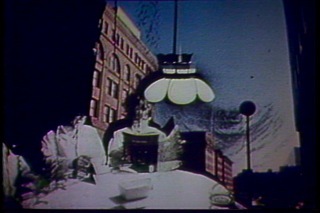 As Danny Kaye, playing Hans Christian Andersen, tells a group of children the story of a piece of chalk that saw itself as the source, not the transmitter of knowledge, one senses Fonoroff's sorrow at the loss inherent in the film image, and a yearning for the source of the image, not just its projection." ...a painful, tender film that fuses the emotional lyricism of her Department of the Interior with the rough-hewn editmg style of other longer works. In a whirl of sound and images, both found and original are plaintive voiceovers ~ The first and biggest mistake I made was being bom' — about visuals that seem like childhood memories both real and invented." Awards: Grand Prize, Black Maria Film and Video Festival, 1989; First Prize, SF Art Institute Film Festival, 1990. Shown on "Independent Focus," WNET-TV, NY. I had been thinking about the nature of "echo," as both an acoustical and visual phenomenon. I had hoped to defamiliarize material which seemed to adhere to the demand for wholeness. My aim was not to "represent" or "express" a particular state of mind or emotion, but to endeavor to generate a set of possibilities for new connections between sensory experience and the experience of meaning. Awards: Honorable Mention, Black Maria Film and Video Festival, 1986; First Prize, Onion City Film Festival, Chicago, 1987. Through an assortment of traveling mattes, ellipses and non sequiturs, the remnants of a story begin to emerge: a conspiracy of three men who represent an institution flaunt an "official" discourse derived from the news media and incriminate themselves in the process. The strident voice of a newspaper hawker announcing the day's headline is set against a series of glass buildings that constitute, presumably, the scene of a crime committed by an unknown assailant against no one in particular. 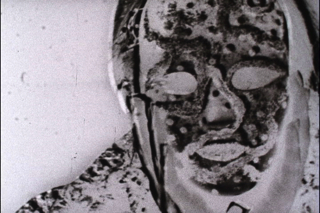 Exhibition: Visual Studies Workshop, Rochester, NY; SF Cinematheque; Film Arts Festival. 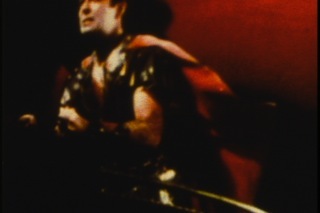 Using footage rephotographed from the Hollywood spectacle Quo Vadis, this film is a densely layered montage on the themes of power, sexuality and aggression. Rather than a "deconstruction" of the film from which it is derived, its overall effect might better be described as "decomposition" or "derangement" of the original elements. 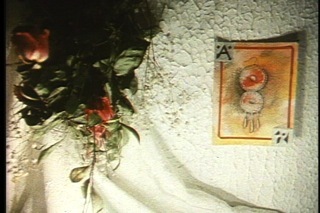 Culled from a variety of recordings of spoken texts (including Rebecca of Sunnybrook Farm) and music (the Hary Janos Suite by Zoltan Kodaly), the soundtrack is edited in a manner that underscores the rhythm of the images, and alludes to the presence of unconscious associations with the story of the original film. The Emperor meets his demise through the agency (the voice) of a wicked Queen, whose lust for power is equalled only by her capacity for destruction.